We work from a project orientation, putting key components of your vision into every aspect of the website design. Your web design project is first and foremost a part of your identity, brand and voice. Through proper visual hierarchy, best practices and clean code, our website designs will not only elevate your brand but define what success means to your business or organization. View some samples of our award-winning website design below. Vericon Construction Company is a premier full-service Construction Management & General Contracting firm dedicated to building high quality spaces, structures and relationships. We helped them build a new website by creating unique, streamlined content, custom photography, responsive design all in an easy to manage content management system. 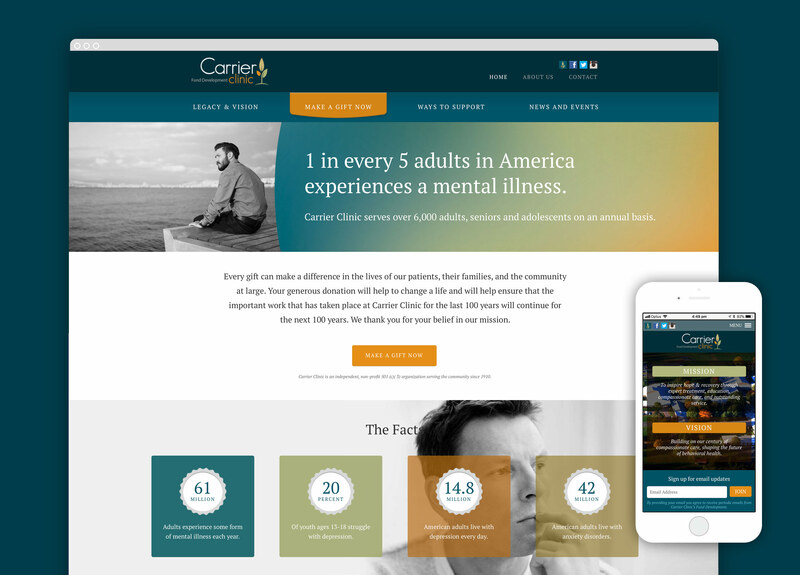 Carrier Clinic serves over 6,000 adults, seniors and adolescents suffering from mental illness and substance abuse on an annual basis. Aggro set out to create a fund development website that was informative, engaging and compelled viewers to contribute. By creating clean layouts, adding video and infographics, allowing the consumer to easily donate the site was successful in building the need, and stay consistent with the brand. 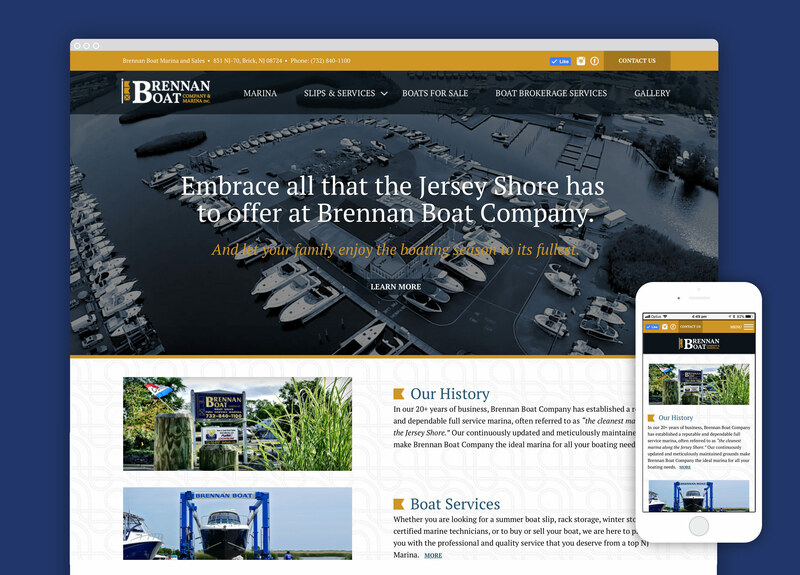 Brennan Boat Company is a family owned and operated full service marina located along the Jersey Shore at the end of the picturesque Metedeconk River. Aggro created a brand new website that featured a CMS for adding boat sales, controlled by the client. SEO friendly wording and structured navigation help to propel this website into top search positions. 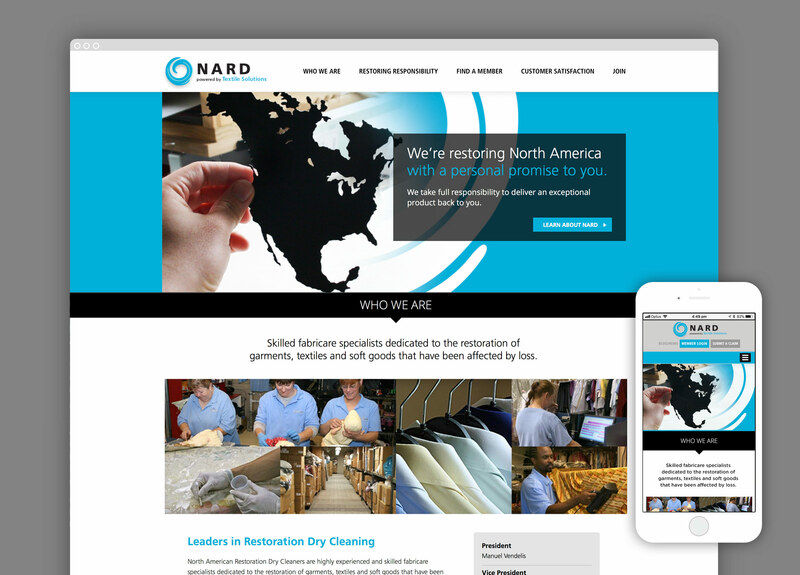 North American Restoration Dry Cleaners are highly experienced and skilled fabricare specialists dedicated to the restoration of garments, textiles and soft goods that have been affected by loss. Aggro created a simple website for them, featuring a map locator, 1 page scroll, custom content, member directory all through a client run CMS system. 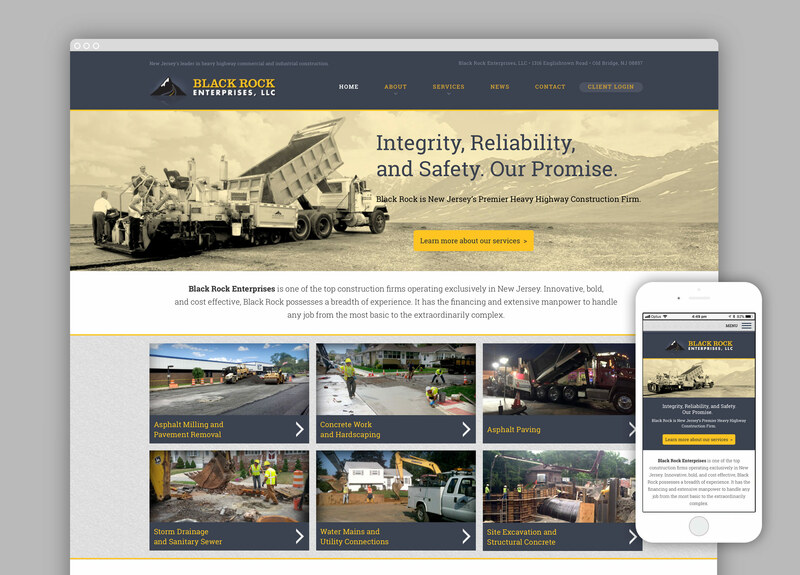 Black Rock Enterprises is one of the top construction firms operating exclusively in New Jersey. They came to Aggro not only for a new website design, but for a client-based project management area that both clients and the company could interact. We created the content for the website using sharp SEO friendly headlines, precise copy and appropriate visuals. 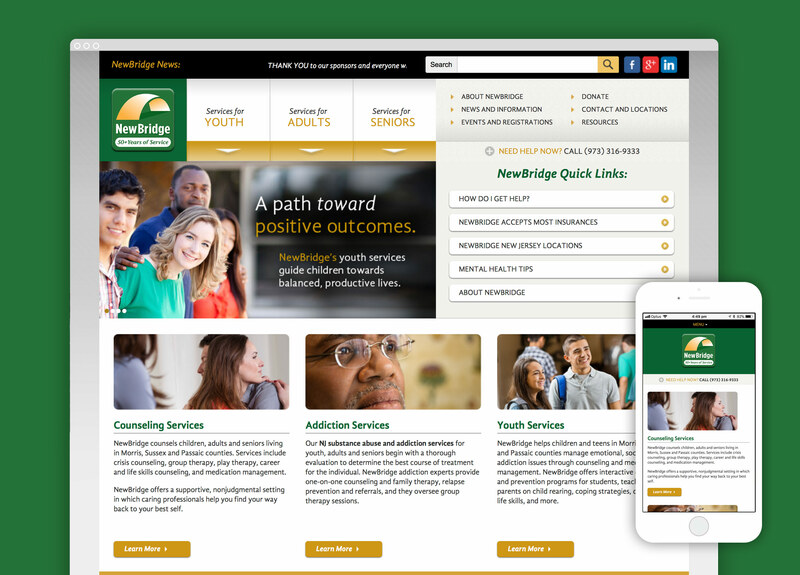 NewBridge Services helps about 8,000 people of every age with family counseling, substance abuse treatment and addiction recovery, play therapy for young children, school-based prevention programs, youth employment and education services, adult day treatment programs, and outreach to the elderly. Their robust website required a design that had clear navigation, was able to be expanded, was content rich and featured a client-driven CMS system. Pier 281, New Jersey’s most exciting new marina, is perfect for those seeking deep water boat slips at a vibrant marina with upgraded amenities conveniently located near the best Jersey Shore attractions. 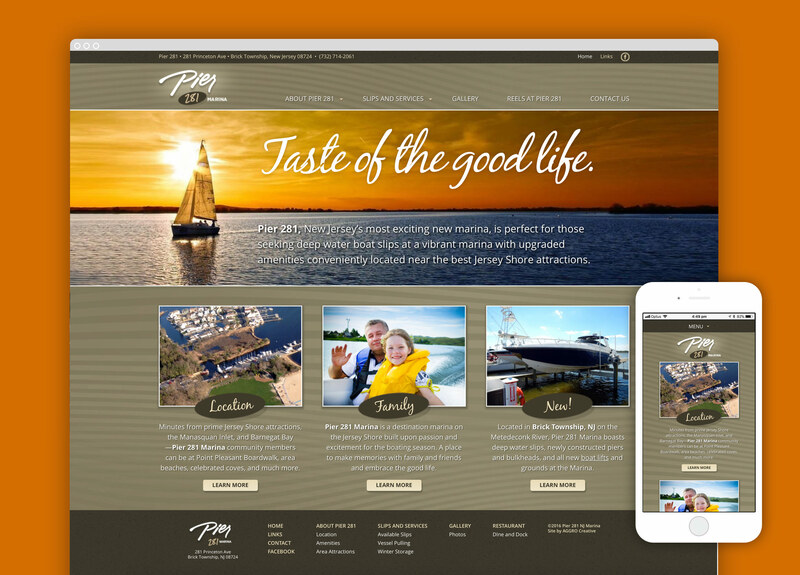 Along with a corporate identity and branding, Pier 281 came to Aggro for a website design that represented the current and future status of the marina. We created a new website featured custom content and photography, all formatted and streamlined for highest search rankings. 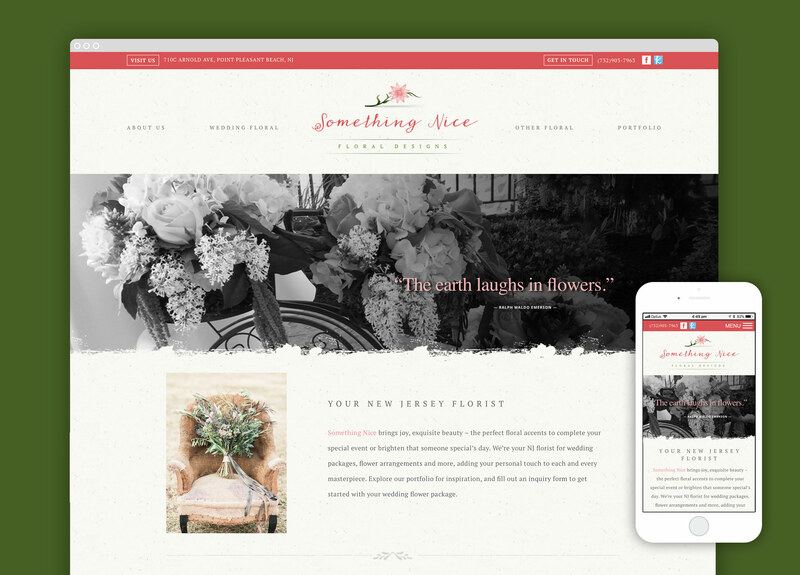 Something Nice is a NJ florist specializing in wedding packages, flower arrangements and more, adding your personal touch to each and every masterpiece. We created a unique, timeless website design that featured numerous photo galleries, custom content, clean navigation and heavy SEO implementation. 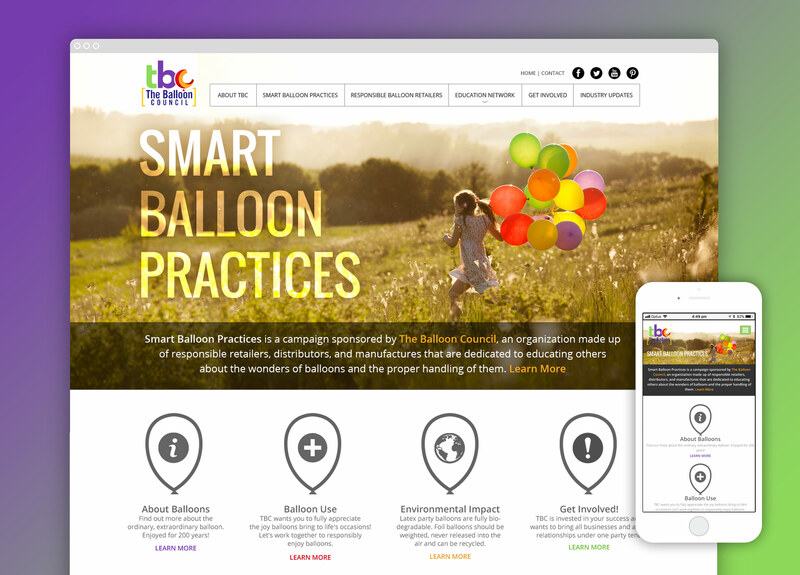 The Balloon Council is an organization of retailers, distributors and manufacturers that was formed in 1990 to educate consumers and regulators about the wonders of foil and latex balloons and the proper handling of them. They approached Aggro for a new website design, that included a responsive layout, exciting and engaging design, and a content management system.